At least a century old, I find the design quite pleasing as well as interesting. Posting for the Chinese Year of the Dragon. 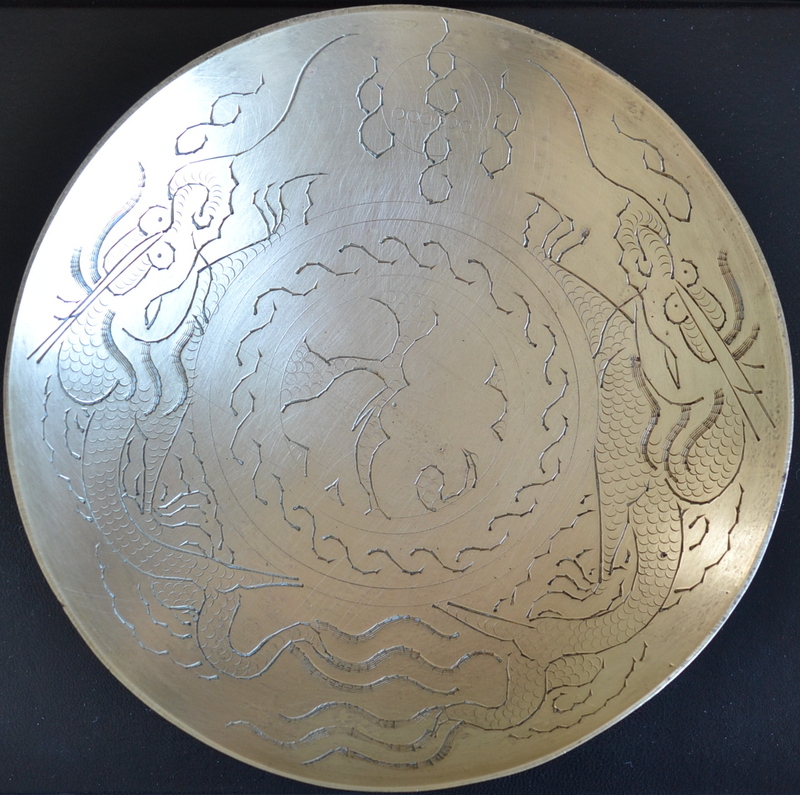 This entry was posted in Photography and tagged art, brass bowl, photo, Year of the Dragon. Bookmark the permalink. I doubt it holds any real value, but I certainly like it. I have one exactly like it. That is remarkable. My grandmother purchased hers when she was just a young bride. This would date the bowls around the turn of the 20th century… around 100 years ago.